The local scarcity of key aggregates results in the increasingly expensive and environmentally harmful long distance transport of raw rock materials. SINTEF researchers believe it would be better if we found ways of exploiting local natural resources, and have developed an environmentally-friendly alternative involving the production of aggregates from mixtures of crushed quarried rock and natural gravels. 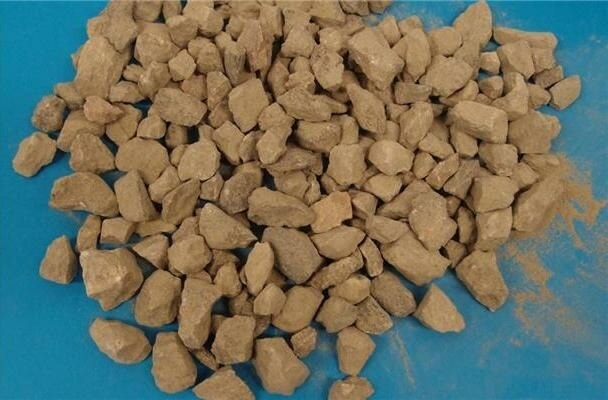 These materials turn out to possess just the properties required in aggregates used for the production of concrete and asphalt. At Verrabotn near Trondheim, the production method is adapted to the resources on site, which consist of both natural gravels and bedrock. “There is nothing very special about the rocks at Verrabotn, so the approach used here will be applicable at other locations with similar geologies both in Norway and overseas”, says SINTEF researcher Kari Aarstad. “I am very familiar with the situation in Trondheim and Bergen”, says Aarstad. “Much of the aggregate currently used in Bergen is transported all the way from the coastal areas of mid-Norway, or from south of the city”, she says. “As a rule, if you’re looking for concrete aggregates other than crushed rock, you have to seek out areas some distance from the city. If you don’t apply the correct crushing technology, the aggregates will consist of sharp and angular clasts which make the concrete more difficult to work with”, says Aarstad. Transporting the material over short distances, and preferably by boat, will result in major reductions in environmentally harmful emissions. Ole Martin Woldseth is District Manager with asphalt producers Peab. He says that for every 100,000 tonnes of asphalt he supplies to Trondheim via boat from Verrabotn, the public roads are spared 7,500 heavy-duty haulage journeys. A boat can carry between 800 and 1,500 tonnes, while a lorry carries only 30 tonnes. The new method involves producing aggregates by crushing quarried rock to form clasts that are as well-rounded as possible, not long and splintery. This is then mixed with natural gravels from the same site to produce a mixture tailored to its intended application. It then needs no further processing. “This is not a revolutionary technology. It’s all about the smart exploitation of available resources”, says Aarstad. “The challenge is to find a way of producing the aggregate economically. Then we have to find a mixing formula that ensures that it can be used to make an effective, pourable and durable concrete”, she says. Peab owns the site at Verrabotn, which includes both a quarry and one of Norway’s largest natural gravel deposits. The volume of rock materials on site is so large that even with production rates of 200,000 to 300,000 tonnes a year, the company will still be producing aggregates here for many decades to come. Peab’s current production is between 20,000 and 30,000 tonnes of aggregate a year for use in asphalt production, but it reckons that it can increase this by ten-fold using the new method. Moreover, aggregates produced using the new technology will also meet the quality requirements for concrete, which are more stringent than those for asphalt. “If we succeed, year-round production will be more economic and practical”, says Ole Martin Woldseth at Peab. “And increased production will probably mean between five and six new jobs at the Verrabotn site”, he says.